This past week saw Steven Spielberg’s War Horse repeat as the top film at the mainland Chinese box office, taking in $5.9 million to bring its total two-week haul to $14.7 million. Falling one place from #2 to #3 was Journey 2: The Mysterious Island, which earned $3.4 million for the week to bring its cumulative box office total to a cool $56.6 million over 31 days of screening. Debuting at #4 was Robert Rodriguez’ Spy Kids 4: All the Time in the World in 4D, bringing in $3 million for the week, while Conan the Barbarian dropped to fifth place with $2.8 million in its second week of release to bring its total box office to $5.9 million. Perhaps the most interesting news at the box office was the successful debut of A Simple Life, starring Hong Kong star Andy Lau, which brought in $5.2 million in just 4 days. This was good enough to earn the film the number 2 spot at the box office, making it the lone non-Hollywood film among the week’s top 5. 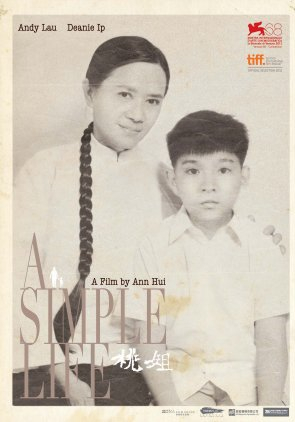 The success of A Simple Life serves as a reminder of the amazing talent that the Chinese filmmaking diaspora has to offer. Ann Hui, the film’s director, is one of the foremost talents of the groundbreaking Hong Kong New Wave of the 1970s and 80s, which included Tsui Hark and John Woo among the film movement’s notable members. For many Chinese people around the world, Hong Kong cinema has served as the de facto source of Chinese cinema for decades, and its influence on even Hollywood cinema has been well documented. After about a decade of depression in the Taiwan film industry, Taiwanese cinema has seen a significant revival, starting in 2008 with the highly popular Cape No. 7 breaking Taiwan box office records despite its lack of name celebrities. This trend of successful films that eschew established Taiwanese stars continued with Monga (2010), Night Market Hero (2011), and Seediq Bale (2011). As was previously mentioned in China Film Biz, Taiwanese films have also found recent success at the mainland Chinese box office. In just the first 8 weeks of 2012, three films by Taiwanese directors each grossed $8 million or better, and have collectively grossed almost $40 million. Hong Kong/China and Taiwan/China co-productions have collectively taken in over $139 million at the Chinese box office this year for about a third of the overall box office. Chinese-American filmmakers must also be mentioned in this context. NYU educated and long-time U.S. resident Ang Lee as been on the global stage for nearly two decades, and his game-changing Crouching Tiger, Hidden Dragon became a catalyst in the conversations about global Chinese cinema. And Justin Lin has established himself as one of Hollywood’s more successful directors with his popular installments in the Fast & Furious series. Lin has also made it a priority to cast Asian Americans in supporting roles in his globally popular movies. Mainland China also has the talent necessary to make globally successful movies, with filmmakers like Feng Xiaogang and Zhang Yimou often leading the charge at the domestic and global box offices. And there are other talented filmmakers who haven’t had the box office success of the aforementioned directors but who would probably be just as capable of directing a successful “global Chinese film”, if given the right opportunity. But what will a global Chinese cinema look like? It can’t and shouldn’t be a mirror image of what Hollywood has created with its big-budget blockbusters, movies that are often focused more on grand visual spectacle than on the intricacies of a well-told story. Rather than just pumping money into the film industry while simultaneously imposing creativity-stifling restrictions on its local filmmakers, the Chinese government needs to have a clearer vision of what it hopes to achieve with a global Chinese cinema, so that it can give all the filmmakers in the Chinese diaspora a greater license to creatively explore and produce groundbreaking “Chinese” cinema that the whole world can enjoy. Even if the government wishes to continue to exercise ultimate control over the content being turned out by its film industry, China needs to make explicit and streamline the rules by which it wants its filmmakers to abide. If the rules can be made less arbitrary and less antagonistic to entertainment, even with these restrictions Chinese filmmakers will find a way to flourish, just as Hollywood was able to flourish (and even experience its Golden Age of Cinema) under the restrictive Hays Code established in the 1930s. If the government can’t find a way to give its filmmakers at least some artistic license, the best and most influential Chinese films will continue to come from places other than the mainland film industry. This entry was posted in Box Office Reports, Opinion and tagged A Simple Life, Albert Wang, Andy Lau, Ang Lee, Ann Hui, Cape No. 7, China box office, Hong Kong New Wave, Justin Lin, Rob Cain, Robert Cain, Spy Kids 4, Tsui Hark by chinafilmbiz. Bookmark the permalink.